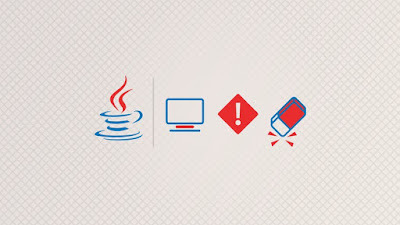 The remote debugging of Java program is an ultimate tool in the arsenal of a Java developer, which is often become the last and only tool to investigate a bug on a Java application running on remote host e.g. on Linux server or Windows server. Almost all major Java IDE provides remote debugging like NetBeans, Eclipse, and IntelliJ IDEA, but I mostly use Eclipse for Java coding and so it's my preferred tool to remote debug a Java program. In order to set up remote debugging in Eclipse, you need to do a couple of tasks e.g. 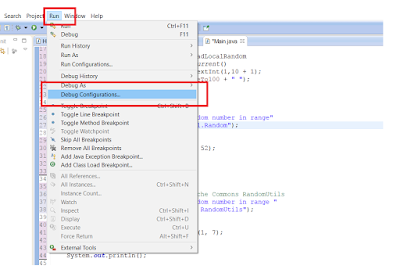 you need to start your JVM with debugging parameters or arguments and then you need to create a "remote debug configuration" in Eclipse IDE itself. I have been sharing a lot of Eclipses tips and tricks in this blog like how to escaping JSON string in Eclipse to easily create JSON for testing and debugging purpose. 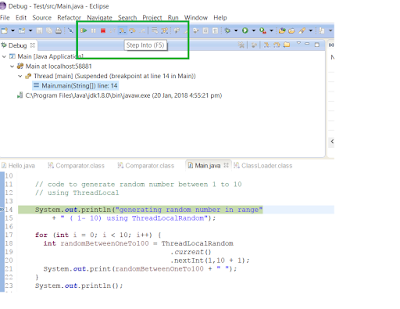 In this article, I'll not only teach you how to set up remote debugging in Eclipse by walking through a step by step guide but also teach you how to actually debug a Java program running on a remote Linux server. I'll also tell you how to use essential debugging commands e.g. Step Into, Step Over, and how to watch variables while debugging, which will not only helpful during remote debugging but also on during local debugging, right from Eclipse. Btw, before starting this tutorial, I expect that you are familiar with both Java, JVM, and Eclipse IDE itself because when we talk about Run and Debug configuration, you should understand what we are talking about. I'll show you every step using the screenshot and explain to you what we are doing and why we are doing but some basic knowledge of Eclipse is required. If you don't know Eclipse or never used Eclipse before, you won't be able to understand whatever I say. That's why, If you are complete beginner then I suggest you to first go through a comprehensive Java course like The Java MasterClass and Beginners Eclipse Java IDE Training Course to learn Java and Eclipse little bit better before starting with remote debugging. That will help you to use Eclipse IDE effectively for Java development. Though there are different JVM options to start your JVM in debug mode, depending upon which version of JRE you are using. If you're using Java 1.4 JRE then you need to use -Xdebug and -Xrunjdwp arguments. These options will also work in later versions, but it will run in interpreted mode instead of JIT, which will be slower. suspend=y: if 'y', tell the JVM to wait until the debugger is attached to begin execution, otherwise (if 'n'), starts execution right away. If you are debugging for an event which happens during startup then you can use the suspend="y" to go through startup sequence step by step. On the other hand, if the issue is happening after it receives a message or request then you can start with suspend="n" and connect it later. See Eclipse Debugging Techniques And Tricks for more of such tips. You are done with setting up remote debugging in Eclipse. In the next part of this article, I'll show you how to remote debug a Java application step by step. In order to start debugging, you first need to set up breakpoint in your code. You can setup breakpoint at any line by the just left click of mouse i.e. 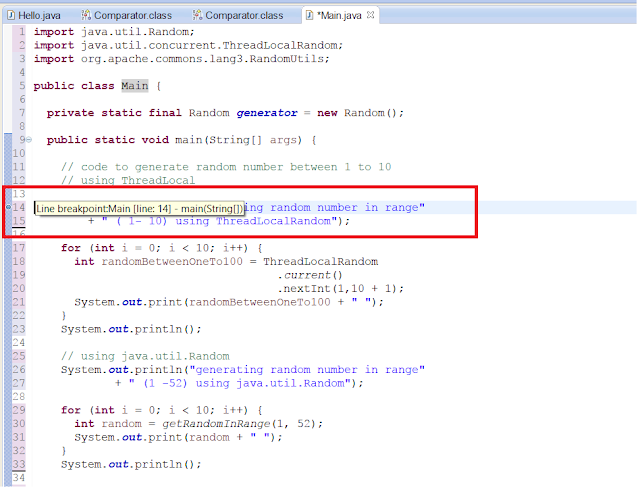 go to your Java code and left click on any line where you want to stop the JVM. This is also known as line breakpoint, btw, don't put line breakpoint on empty lines. Also, if you are just starting with debugging, you can start with putting a breakpoint in the main() method which is the entry point of Java application. 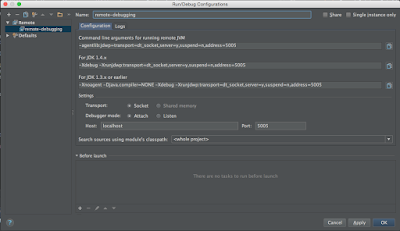 A couple of things to note here, we are starting JVM on server mode and asking it to suspend until the debugger connects it, which means it will not start execution until you start your Eclipse IDE and launch remote debug. It is also listening for the debugger on port 11001, which means your Eclipse remote debugging setting should also use the same port. This means JVM is ready to attach the debugger and now it's time to start remote debugging in Eclipse IDE. Btw, if you are not familiar with Java Virtual machine then I suggest you go through the Understanding the Java Virtual Machine series on Pluralsight, which explores JVM Memory Management, Classloading, Security and other important details. This error means either your JVM is not running but if you are sure that JVM is indeed started and ready to connect then maybe your host and port configuration is incorrect e.g. any typo on fully qualified domain name or any network issue which preventing your local machine to connect to the remote host. 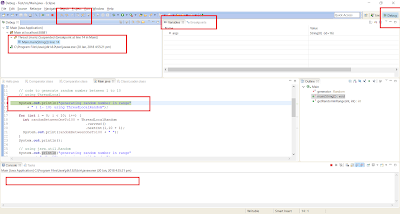 If your Eclipse IDE is successful to establish a connection to debugger running on remote JVM then Eclipse will open debug perspective and you could see where exactly JVM has stopped, a full stack trace starting from loading the classes. Now, you got the control of flight and it's up to you how you move. When you first time debugs a Java program, Eclipse will ask you open the Debug Perspective and then next time it will automatically do so. In Debug Perspective, you have a lot of debugging tools like you can execute code step by step, can see where you have put breakpoints, can watch values of variables and can see which thread you are debugging and can terminate the debugging session. The debug perspective is same for both local and remote debugging. There are a couple of option to move in your code you can use either Step Into for step by step executing code, which means if the code contains a method call then your code will go inside a method and then initialize variable and other code and finally come back to where you were. Alternatively, you can use Step Over to just go over the method call and move to the new line. You can use a combination of these two commands to effectively move around interested read to find any bug or observer the output in the log file. The button to Step Over is just next to Step Into as seen in above screenshot. While remote debugging your Java application you can also see values of a local variable and member variables into "Variables" window as shown in the following screenshot. This is very useful to find out any inconsistency between expected and actual values. You can also add a variable to watch window to periodically check its value. 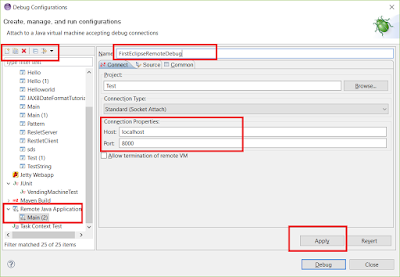 Once you are done with remote debugging and find the root cause of your problem you can terminate the remote Java application right from the Eclipse IDE. This will stop the JVM as well Eclipse remote debug console, but if you don't want to stop the JVM on remote host then just click the disconnect button and it will stop the debugging process in Eclipse. That's all about how to setup remote debugging in Eclipse IDE and how to remote debug a Java application running on Linux server. The key is that you should have the same version of a class file and Java source file on both remote and local machine. If your Java source code is not in sync with the class file on remote host then the debugging will be inaccurate i.e. you will set a breakpoint at line 5 but your code will be running line 10, hence it is an absolute must that both code and binary running on the remote host must be of the same version. Thanks for reading this article so far. If your like this article then please share with your friends and colleagues. If you have any question or feedback or facing any problem while setting up Eclipse for remote debugging then please drop a comment and I'll try to help you out.